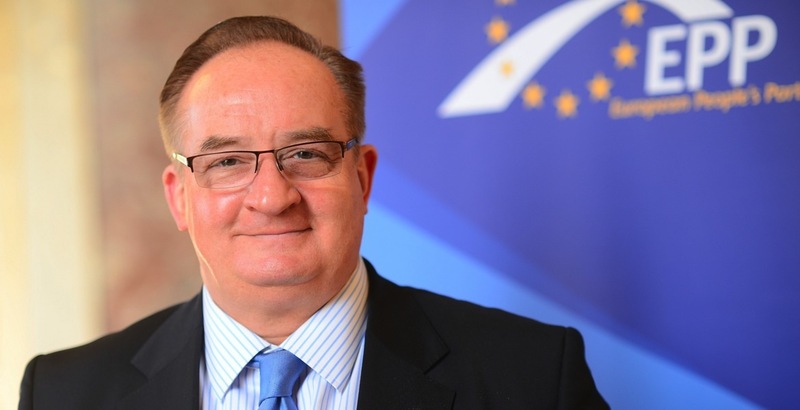 Jacek Saryusz-Wolski is a Polish diplomat, politician and an MEP, Vice Chair of the European Peoples’ Party (EPP) group. He served as Vice President of the European Parliament. On Monday 9 May, MEPs from virtually every political group showed rare unity and solidarity. In a debate with EU Climate and Energy Commissioner Miguel Arias Cañete they unanimously condemned the plans to double the capacity of the Nord Stream pipeline between Germany and Russia. The debate was preceded by a Written Declaration submitted by MEPs coming from the EPP, S&D, ECR, ALDE and Greens groups, unequivocally condemning the Nord Stream II construction. The declaration openly calls upon the EU institutions to take the necessary steps to stop “the capacity of the Nord Stream pipeline being doubled.” The signatories of the declaration, so far, include representatives from a wide array of countries, including every central and eastern European Member State, Germany, France, United Kingdom, Spain, Italy and the Nordic Countries. It is a truly bipartisan and multinational effort. And rightly so. Nord Stream II is a threat to the European Union. The project is incompatible with the very essence of European energy security, solidarity between the member states and runs contrary to the EU law – whether the Third Energy Package, environmental or competition law. From a geopolitical point of view, Nord Stream II will increase Russian influence over the European Union. The project renders EU gas supplies more susceptible both to the political blackmail from Russia, a country that has a past history of using energy as a weapon, as well as to the pipeline malfunctions or terrorist attacks on critical infrastructure. By depriving Kyiv of the transfer fees and the security of gas supply it sabotages EU goals in the neighbourhood – namely a stable, independent and European Ukraine – as well as sends a clear message that for certain Member States, the profits of their energy companies are more important than solidarity and long-term foreign policy strategy. Moreover, certain NATO experts and officials as well as representatives from non-NATO states such as Sweden point out to a clear military advantage that Russia would gain, should new Nord Stream infrastructure be built in the Baltic Sea. In case of a hybrid invasion against the Baltic states, Russian military would gain unprecedented anti-access/area denial capabilities, rendering the North Atlantic Alliance solidarity clause void. From an energy policy point of view, Nord Stream increases the dependence on a single supplier, source and route, contrary to the Energy Union goals. By reinforcing the Gazprom monopoly, it will diminish the energy independence not only of the central and eastern European states, but also of countries directly engaged in the Nord Stream project, such as Germany or Austria. Gazprom itself cannot be viewed as a reliable partner – the European Commission itself, after all, launched an investigation on the breaches of competition law committed by the Russian gas monopoly. Should Nord Stream 2 be built, it will distort the energy market in the EU, deepen the energy imbalances between various states and decrease incentives for other infrastructure investments such as LNG terminals or interconnectors. Europe, as a whole, will be less competitive, less integrated and less independent. We believe that the Nord Stream 2 agreement is not in line with the EU strategy of diversification of sources of supply and routes of transit of imported energy, as well as the EU’s energy security strategy and foreign, security, and Eastern Partnership policy goals, reinforcing the EU’s dependency on Russian gas supply. We call therefore on the European Commission and EEAS (European External Action Service) to thoroughly assess the compatibility of the Nord Stream 2 project with EU law and to ensure that all relevant EU legislation is fully respected. This position was reiterated in a letter from EPP Group Chairman Weber to Commissioner Cañete and the German government, sent on 26 April. It is an unprecedented message from the largest political force in the European Parliament and paves the way for other to follow. The European Parliament stood up to its role as the democratic conscience of the European Union. Now, it’s time for the Commission and Council to act in order to safeguard European solidarity and security.